Ahh, the Canadian Tuxedo: this never-fail look can be worn in so many ways, it's been seen on everyone from the edgiest tomboys to the most polished fashionistas alike. It's the perfect summer afternoon look and acts as a blank canvas for whatever accessorizing you desire. And while we'll always love the classic chambray and skinnies combo, we're wearing a slightly updated version this Spring with our Sinclair Denim vest and MIH cutoffs. 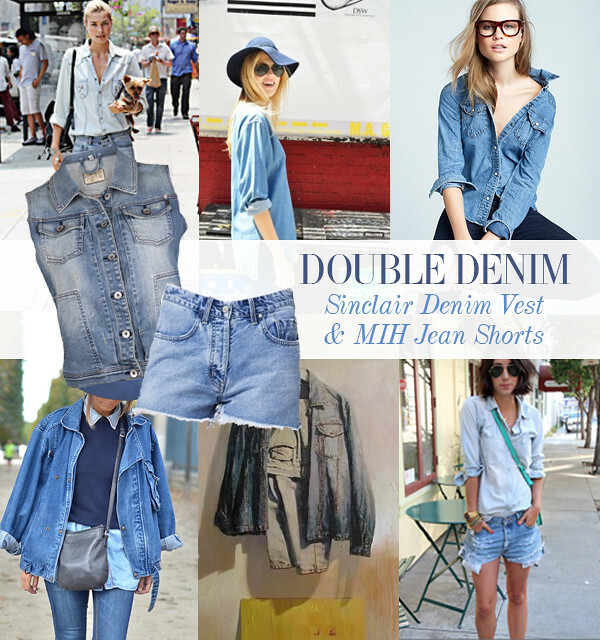 What's your favourite way to wear denim on denim?